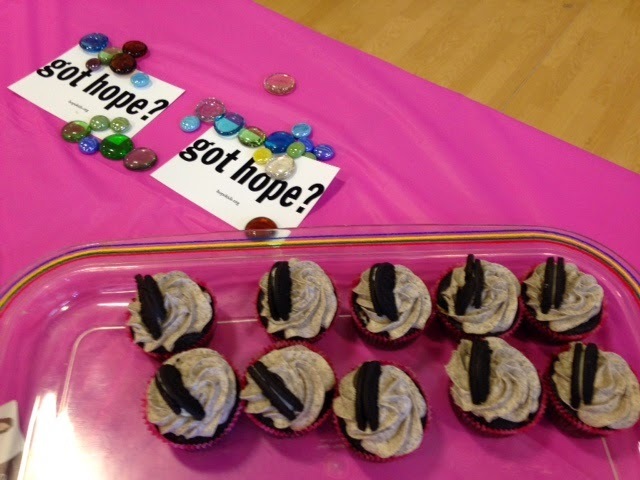 I was pleased to have the opportunity to provide 4 dozen cupcakes for a HopeKids mom and daughter spa day this last Saturday, through IcingSmiles a group I am proud to be a member of. HopeKids believes that by bringing joy to these inspiring children and their families through an ongoing calendar of events we can help cultivate hope, acceptance and most importantly the will to live. All of these events are fun and exciting, and promote a deepening of relationships and friendships. In some cases, they provide a return to normalcy to a family facing a fragile and uncertain future. For others, they provide a much needed relief during a stressful and often scary time. For all, they are surrounded by families who understand the journey they are on. Their goal is to create a constant state of anticipation, of looking forward to the future with excitement and hope. Simply put, we want to give the child another reason to fight, another reason to want to live while the medicine and treatments are given the time needed to heal what is making them sick. What a wonderful organization! They have directly helped my brother and sister in-laws family as they have and are moving through the diagnosis of my niece, Charlee with Batten Disease. 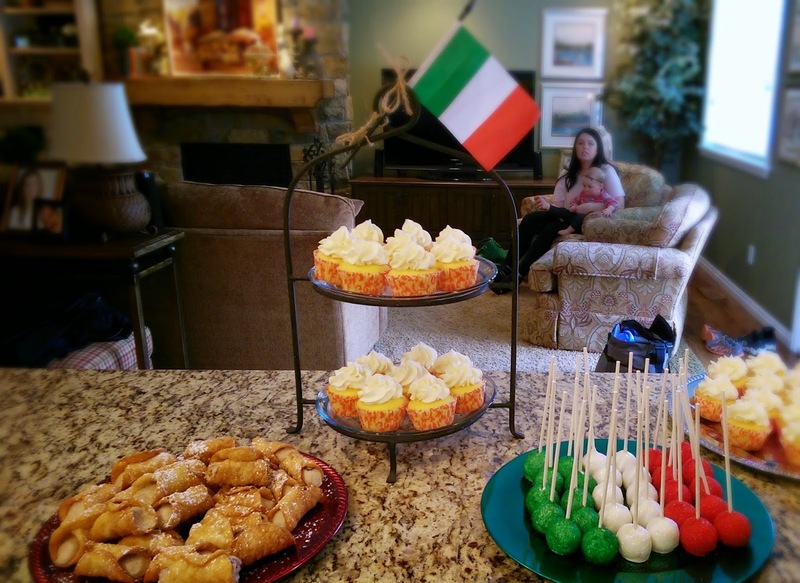 Buon Viaggio Italian Themed Birthday- Holy Cannoli! 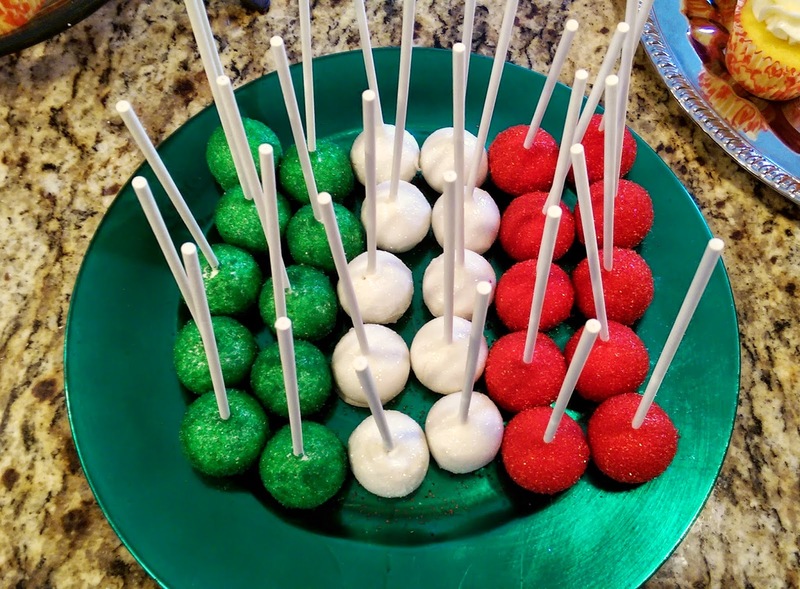 I was asked to do a dessert table for my niece's surprise birthday party, Italian themed since after the party, they were off to Italy- what a fun birthday! I want! 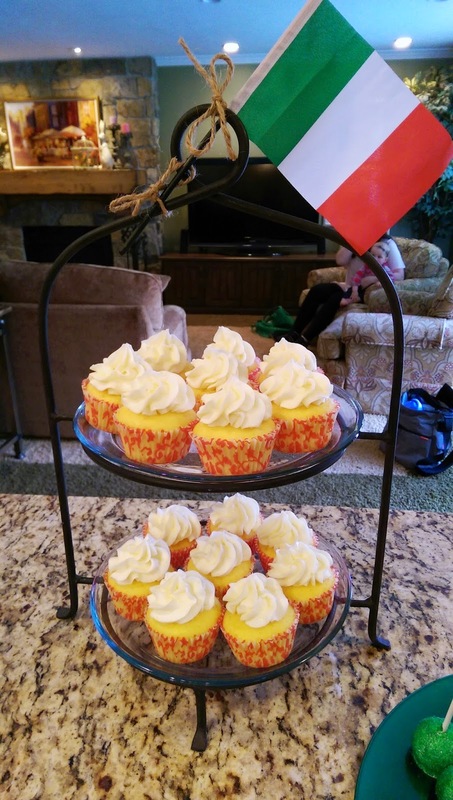 What screams Italian sweets better than Limoncello cupcakes and Cannoli's of course- besides maybe a great gelato-if I knew how to make that, I think I'd be a few pounds heavier, mmm! I haven't made Cannoli's enough to be an expert, but since was for family, I figured it was a good time to get some more cannoli practice in, they're usually pretty forgiving if you show up with yucky burnt food, right? Haha, maybe not. 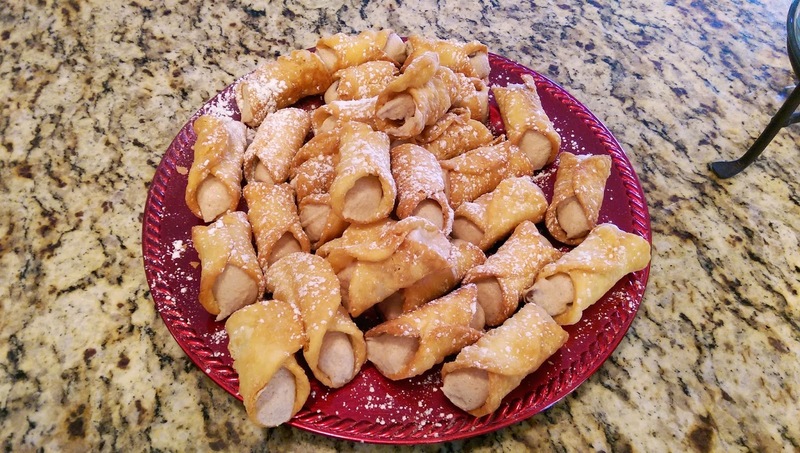 Luckily, after much patience, my tongs and I were able to turn out a pretty good batch of yummy cannoli's! Try something new and keep at it till you can do it well, I say!